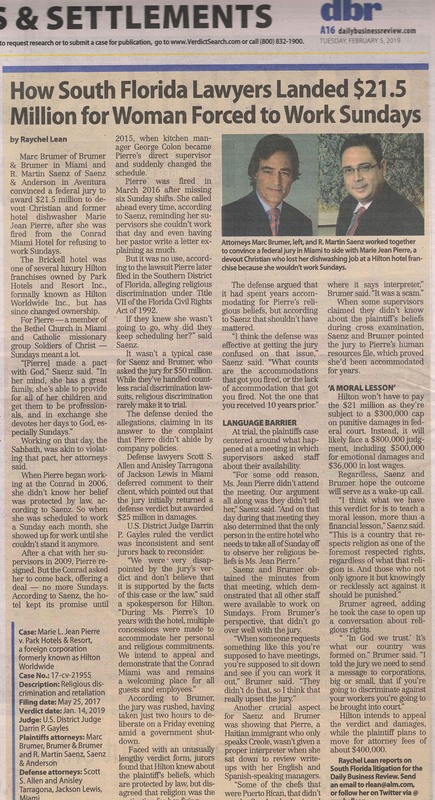 Below is some of the recent media coverage the firm has received. Please check back often as we will update this page periodically in the future. Marc Brumer Helps Woman Who Was Served "Toxic Cocktail"
ABC affiliate WPLG reported exclusively on the near-death experience of a South Florida woman who was served what's being called a "toxic cocktail," a potentially deadly libation fused with liquid nitrogen. Marc and his family took time out of their Thanksgiving Holiday festivities to assist handing out turkeys to the less fortunate in Hialeah.